ATI and NVIDIA have both been making real efforts to improve the quality of their video playback in recent months. With the increasing popularity of Media Center and the imminent availability of high definition content on Blu-Ray and HD-DVD, having the best video features is now becoming as important as the best 3D performance. With that in mind, we wanted to take a look at two video-capable cards. Both have silent coolers, so that your entertainment won't be ruined by fan noise. Both have mid-range gaming performance for when you want some interactive fun, and both are capable of decoding high definition video and enhancing standard definition. However, neither card has HDCP for full resolution, digital output of protected HD content - those cards are still a way away. How do the cards, and the competing firm's drivers and video packages, rack up? MSI brings a GeForce 7600 GS to the table. Replacing the much-loved GeForce 6600-series cards that many enthusiasts find in their box, it's lower-speed than the GeForce 7600 GT model but still packs a decent punch. 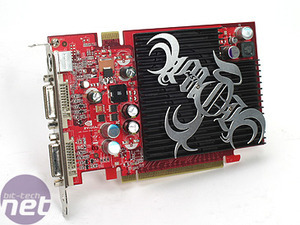 It's clocked at 400MHz core and 800MHz memory, with 12 pixel shaders and 5 vertex shaders, as well as 256MB of GDDR2 memory. It has a totally passive heatsink, and is an average size card that doesn't require additional power. We found that the heatsink can get very hot indeed under extended use. 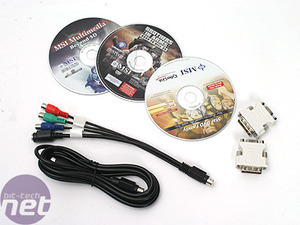 The card comes bundled with cables capable of connecting up to your HDTV via component. It has dual DVI output in case you want to use it on your desktop with dual monitors. Also in the box is a copy of Brothers in Arms: The Road to Hill 30, which is a rather decent shooter. NVIDIA's video technology is called PureVideo, and it is now integrated into the latest official ForceWare release 84.21 (previously, it was a separate download). By combining the latest ForceWare with the hardware-enabled Cyberlink PowerDVD decoder, the GPU acceleration of standard and high definition is enabled. 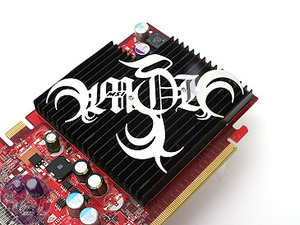 Sapphire, ATI's largest board partner, bring us the Radeon HD 4850 TOXIC. Featuring a significantly improved cooling solution over that of the stock 4850, and a healthy out of the box overclock, we take a look and see if the 4850 TOXIC is radio-awesome or just a TOXIC-waste.